I love you! I do not expect more than this addon ! I remember you still like ArcHUD2, I just love you as a legend ! Thanks for the motivations. I'm no longer playing, that's why there is no update yet. I started with a few fixes, but biggest issue is probably the rotated arcs on the left. It's related SetTexCoord / SetPoint on the textures. So if anybody has some input on that, I'll appreciated it. I'd definitely donate to have this addon working again. 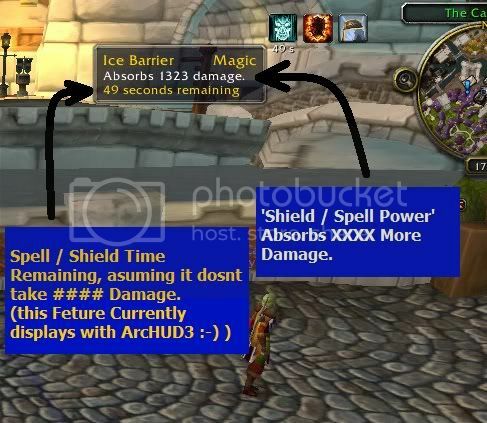 Are there any plans to update ArcHud to make it Legion compatible? Is there any way to set the font for the text displayed in archud3? I used it long ago and had a certain font that i preferred. I had customized it heavily. Now that i have returned after 3 or 4 years away, I would like to have the same font. Other than that, you have incorporated everything that i could possibly wish for. Thanks! You just made my morning. I'll let you know what/if any errors I get or bugs I see. So far no issues at all. Happy Druid. Bug reports are welcome since I'm rarely on beta/ptr due to lack of time. I'm hoping you'll continue this into WoD. You can do that by changing the anchors (left or right): [ESC] / Interface / Addons / ArcHUD / Arc Options. Hi, I have a simplistic request. I like yours very much but there's an option I miss a lot : displaying player's bars on a side ans target's one on the other. I'm always confused with heatlh bars on the same side, especially when I foght against packs, wondering if my health is low or not. In the config under "Positioning" you can unlock the frames and move them freely on your screen. After you are finished, you should lock them again. Does this help in what you are trying to accomplish? Ok, sounds like a reasonable request - some of those things I was thinking about before (in the context of DK's blood shield, for instance). Notifications as sounds or flashing stuff is certainly also nice-to-have. I have included pics of what i mean. 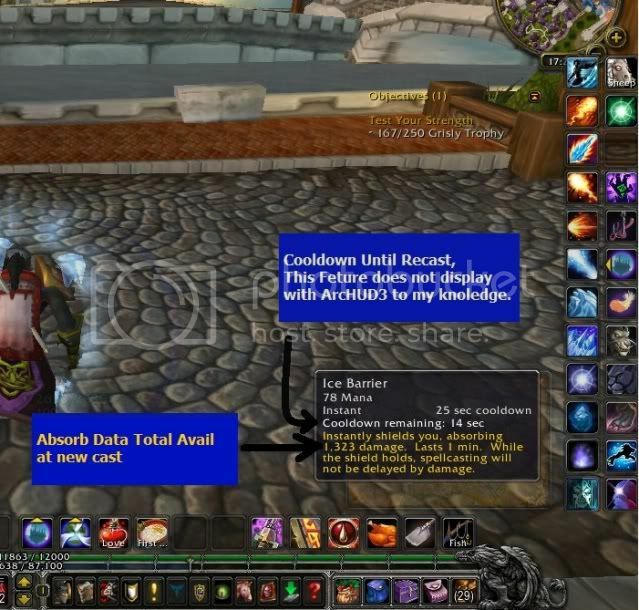 if this is available through Floating Combat Text i apologize, however, i would like it in a bar in ArcHUD3 Instead of a 2nd addon. sorry for simplistic nature of picture text. Not sure what you mean. Sounds like floating combat text which is not something ArcHUD was made for. 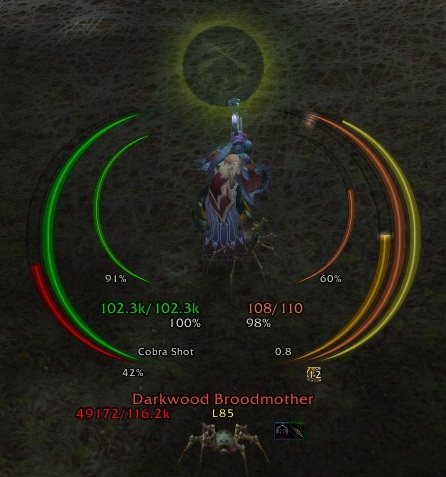 Can you Please add support to show Shield/Absorb Lvl instead of or addition to cast time. EG Ice Barrier Absors xxxx Damage. This would be nice so i can delete other addons and use only this one. BTW Awsome addon otherwize!